Staffordshire has only two garden centres in the top 100 by turnover which is quite a surprise given the size of this county. The most popular is Trentham Garden Centre rated as number 22 UK garden centre. The second largest is Planters Garden Centre in Tamworth at 96th largest which has the distinction of being one of the few garden centres in the UK to offer a lifetime guarantee on all of its plants. 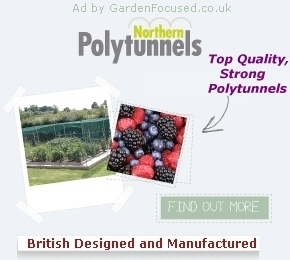 As well as large garden centres Staffordshire has a high number of medium and small garden centres. One medium sized garden centre which caught our eye was Johnson Hall Nurseries in Eccleshall. Set in a walled Victorian garden, this family run plants nursery has a history going back 50 years. With a small children's farm (open late spring to early autumn) allowing kids to pet the animals, a children's play area and a large aquatics centre, this garden centre is not just about plants .... Click here for the full article. We arrived a bit earlier than normal for our review so we opted for the English breakfast. You get six items for £5.50. We were not impressed! First, we gave the scrambled eggs a miss .... Click here for the full article. As far as turnover goes this is the largest garden centre in the Blue Diamond group and 22nd largest in the UK. It is set on the Trentham Estate which not only has a garden centre but also Italian gardens .... Click here for the full article.